When Metro released special TAP cards for the opening of the Expo Line, I was intrigued. Why, I wondered, doesn’t Metro do more interesting things with TAP design all of the time? Why the insistence on selling these boring blue cards? 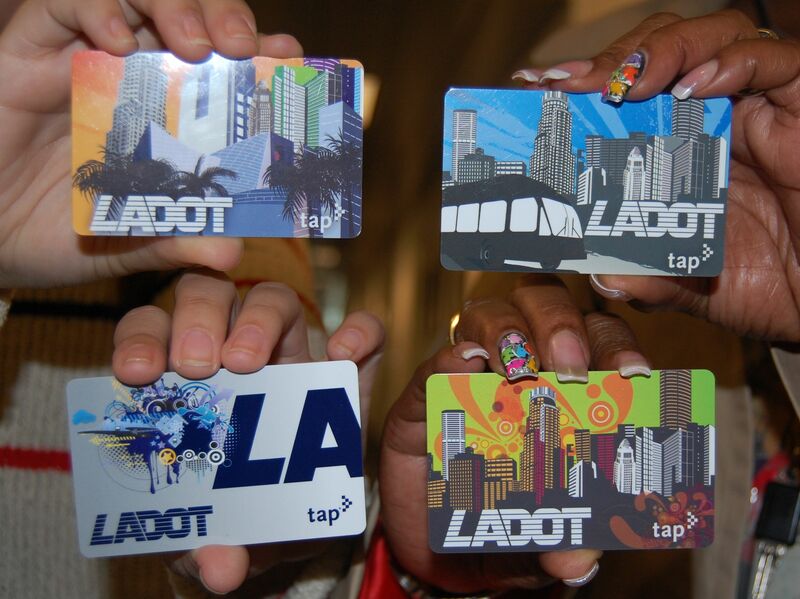 Over the past year and a half, we’ve seen some other unique TAP designs, the CicLAvia Tap Card and the LADOT Transit cards both released earlier this spring come to mind. But most of us are still using the boring blue-gray cards. Yes, I said “us.” My CicLAvia TAP card is lost somewhere in my house with my press credentials. But while Metro isn’t trying to do anything to liven up our wallets, LADOT is trying again. LADOT announced earlier this week a collaboration with Downtown Los Angeles’ Gallery Row Organization to sponsor an artist competition to design the next wave of LADOT TAP smart cards.This design competition is the first of its kind in any major metropolitan area in the world that has a regional smart card system for its public transportation network. The theme for card designs is Downtown Los Angeles.The deadline for entries is December 18, 2013.Entry forms, official competition rules and instructions on how to submit your design are all available at the competition webpage. Two winning designs will be chosen, and each artist will be awarded a prize of $500 cash and a $500 gift certificate to Raw Materials Art Supplies, an art and architectural supply store in Downtown Los Angeles.Winners will be selected in mid-January 2014 by a five-person jury panel: Nic Cha Kim (Gallery Row Organization), Qathryn Brehm (Downtown LA Art Walk), Nathan Cartwright (The Hive Gallery), and two representatives from LADOT. Also, as a special award, one of the winning designs will appear in my wallet.